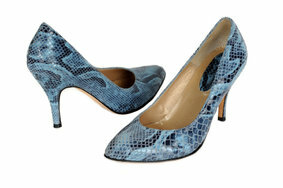 Court shoe manufacturers: Private label and custom Court shoe manufacturer for companies and designers in Spain. 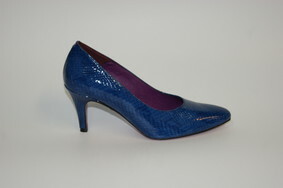 We are manufacturers of leather court shoes quality of Spanish origin and tanning . The designs of our court shoes, meet the needs and preferences of each of our clients and these are made ​​with their own private label . In our factory we are specialized in designing and manufacturing series of court shoes for each customer uniquely. To manufacture court shoes , we can use any type of material : grain leather, suede leather , patent leather , nubuck leather , engraved leather ... any skin type , and there is a very wide range . The court shoes is definitely the ultimate classic shoe, is that kind of shoe that never goes out of style , and gives the wearer an appearance of elegance and personality with other shoes not achieved. These shoes with heel and cut the upper in a single piece , usually, but the trendiest styles and make the different pieces. On the dance floor , it's easy to find women who wear court shoes, and there's nothing like a stylish and comfortable to move easily to the rhythm of music.